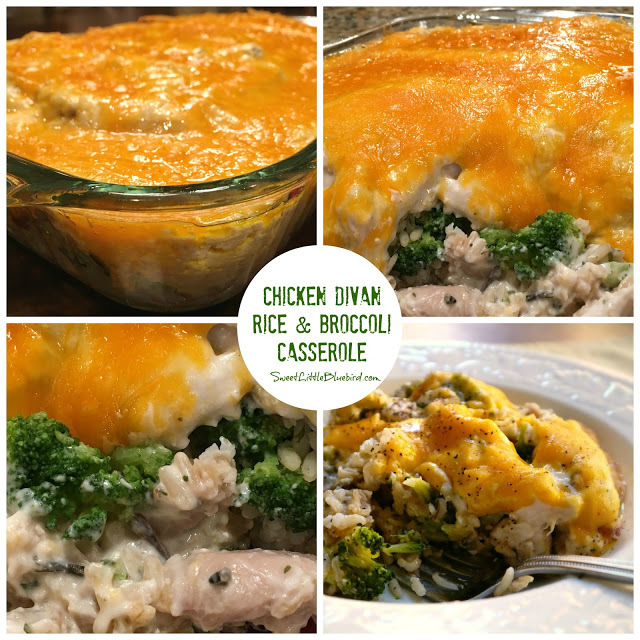 Today I’m sharing one of my family’s favorite comfort foods, Chicken Divan Rice and Broccoli Casserole. A favorite since I was a kid! 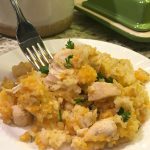 This is a great recipe to use with leftover Thanksgiving turkey. 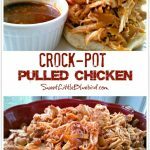 I have also used rotisserie chicken too. Preheat oven to 350 degrees F. Spray a 9×13 baking dish or comparable casserole dish with non-stick cooking spray. In a medium size bowl, mix mayo and mushroom soup, set aside. 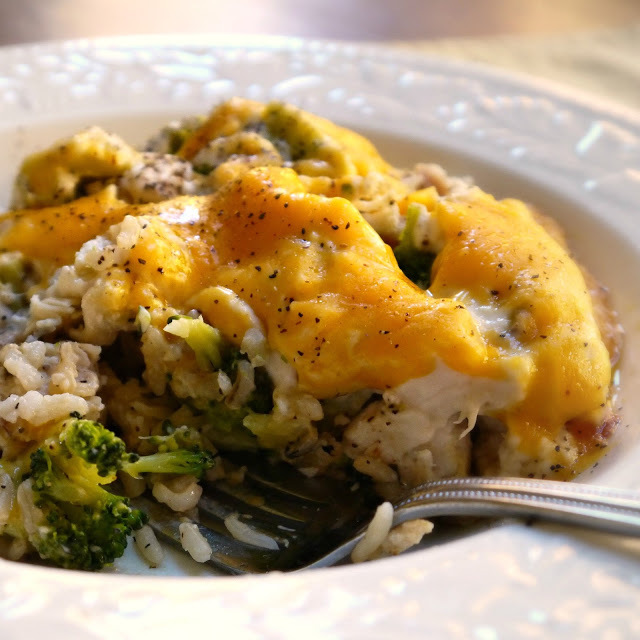 Next, layer your casserole in this order – Brown Rice, Wild Rice, Chicken, Broccoli, Sauce and top with Cheddar Cheese – see photos below. Cover with foil and place in oven on middle rack and bake for approximately 30 minutes, until completely heated through. Serve hot. Squeeze fresh lemon juice on top (optional), salt and pepper to taste. Enjoy! To prevent the foil from sticking to the cheese, place toothpicks in the casserole before you place the foil on top or spray your foil with non-stick cooking spray. You can substitute sour cream for mayonnaise. 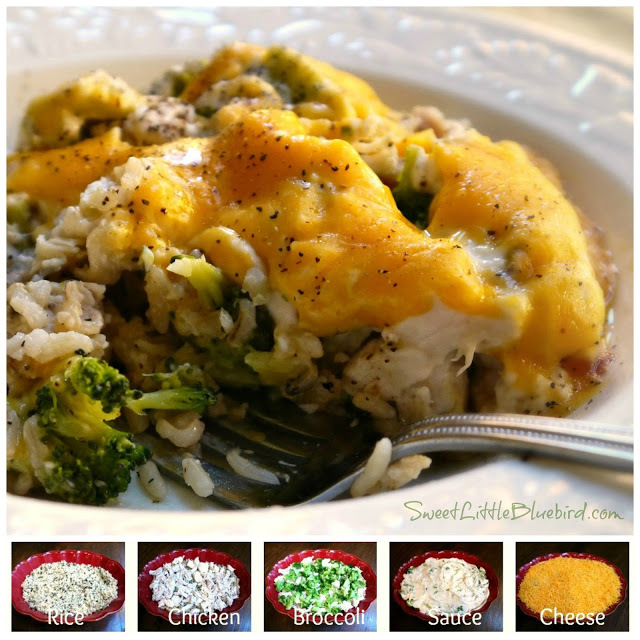 I always make a separate small casserole for my little one with the egg allergy. You can use light mayonnaise and soups. You can substitute cream of chicken soup for cream of mushroom. You can use any rice you prefer – all white, all brown, wild rice or mix them up. 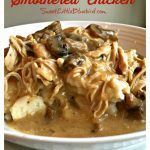 Mushrooms are also a great addition to this casserole. Fresh or canned. Great recipe for leftover Thanksgiving turkey. I never hear any complaints when I serve the leftovers the next day. This is one dish that never goes to waste! This is a wonderful dish. I have been making it for years. For a change add curry powder in with the mayo. I Use a tbls. but we like it, use less or more … to your taste. I also leave the cheese off (less fat). I top it with crumbled Ritz crackers with a few bits of butter on top of the Ritz. its yummy, it’s almost a whole new dish. Thank you Coreen B. for sharing this with me so many years ago. I'm waiting to hear about the double rice ingredients, as well! It must be either us Wild Rice pkg mix, OR use Brown Rice!?? Wouldn't you think?? but I'm sure a couple servings. Then we are to make 3 more cups of rice. Isn't that a little over-kill on the rice. That just sounds like a lot of rice. I WANT TO MAKE THIS, BUT WILL WAIT FOR A RESPONSE. My chicken divan is similar to this. I arrange defrosted, drained broccoli spears in the bottom of a 2 quart casserole dish. I then layer pieces of cooked chicken breast ontop of that. In a medium saucepan, heat 2 cans cream of chicken soup, 1 cup mayo, 1 cup shredded cheddar cheese, lemon juice, and 1/4 tsp. curry powder. Pour over the layered broccoli and chicken. Sprinkle seasoned, crushed dry stuffing mix on top and drizzle with melted butter. When baked serve over rice. How long do you bake yours to get the raw broccoli cooked? What a lovely bologna you have! I just found you today and am very impressed with your cordiality! The recipies are beautiful and simple and fun…a great combination! My husband loves to cook and bake, so I will make sure I "introduce" you to him very soon! Hi Donna – Thank you 🙂 It's a favorite! I need this dish for today – it's cold and rainy, with the remnants of Sandy headed our way on Tuesday. Thanks for the visit and sweet words. I hope you are having a wonderful Sunday! Oh yum!!!!! I'm coming to visit …..
Yummmm Mary!! Can I share a room with Mel when she moves in with you??!! We are assuming you cook like this all the time! Thanks for always being so supportive and sweet, Danni! Oh Yum, Mary, can I move in with you, or do you deliver? CAn you tell me how many ounces in the box of rice please. If you have any other questions, Mel, Let me know! Thanks for the sweet words! Me too! I made this last weekend and the leftovers are long gone. Looking at the photos is just making me hungry! 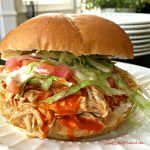 I only make this once or twice a year – you need to make it soon! Thanks for the visit! I hope you have a great night!